Continuing its incredible consistency in celebrating Indonesian fashion industry, this year Jakarta Fashion Week 2016 held in Senayan City. Thailand's Ministry of Commerce presented THEA by Thara in her Spring/Summer 2016 collections on last Tuesday afternoon. THEA by Thara creates the perfect silhouette for women's muse in mind: a feminine figure, understatedly sensual yet embodies unwavering effortless confidence and distinct style. Her strong style of New York City chic is reinterpreted when merged alongside the more modest essence of the Asian culture. 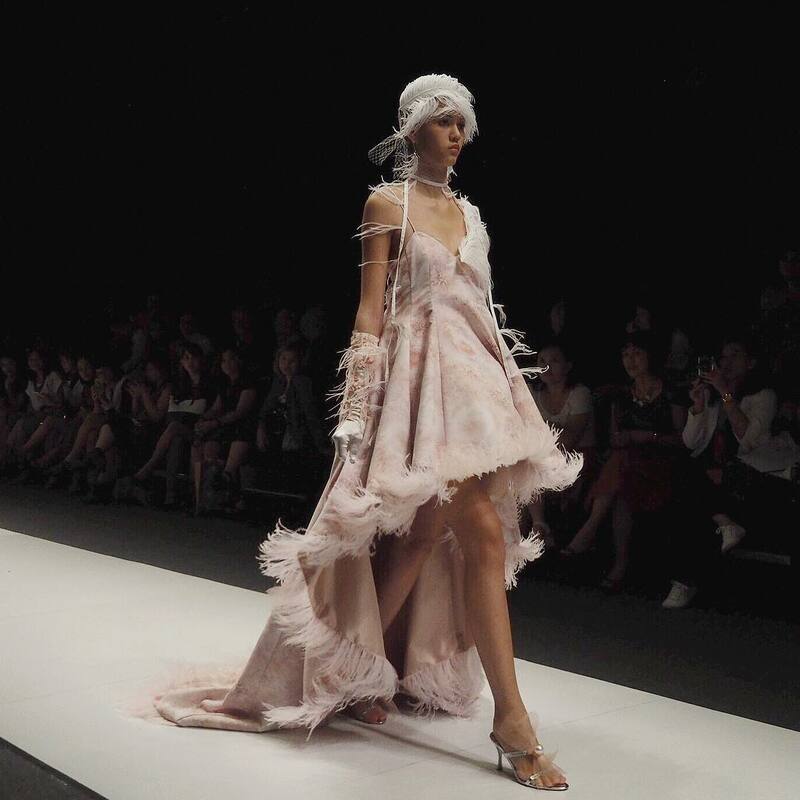 Thea’s Spring Summer 2016, “Ella Bella” still retains her signature ethereal quality in silhouettes and fabrication. This season, the story behind the strength of a graceful ballerina and what it takes to uphold that grace is translated into these pieces of clothing. But now with a slight play of more jerseys and stretch fabric. There is a mix of these with lace and a generous play of layering of different fabrication, showing the different textures, weight and transparency of the clothes when seen at different angles. When movement is made, when the dance is being danced. Strength and functionality is key in this collection with the ease of moving in these comfortable yet put together pieces. The flower crown details is seen in this collection with the in depth use of bows and floral cutouts. The loved peony color is a key in “Ella Bella” taking us back to our girlier days. Thea’s collection-ly signature print this season is of course her flower crown ethereal print. The strength in the frail, the shadows behind the light is thus brought to live in this collection. 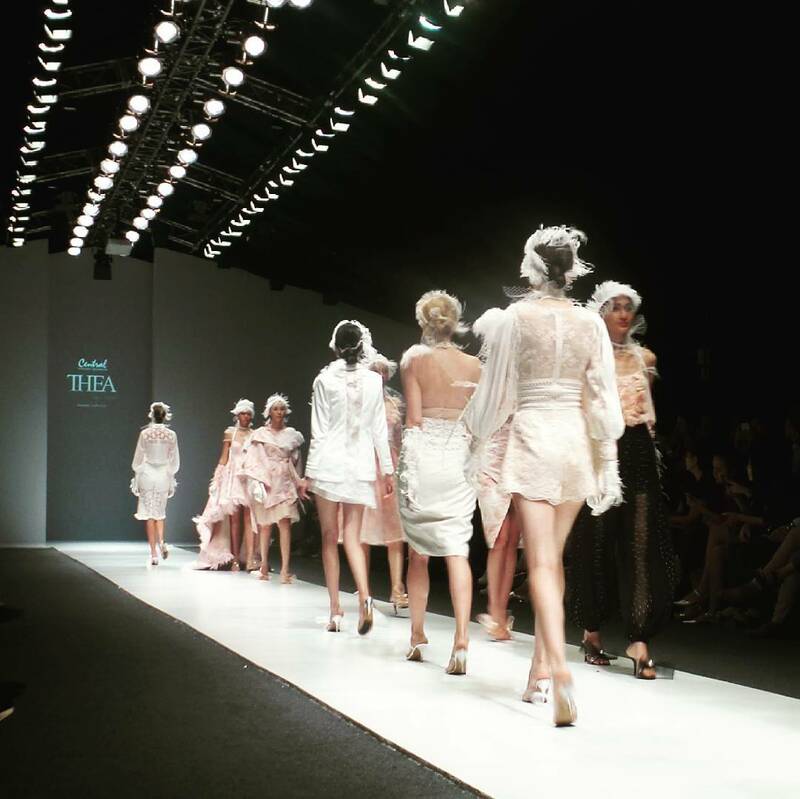 Thea by Thara Spring Summer 2016 will be available soon at Central Department Store, Grand Indonesia - East Mall.